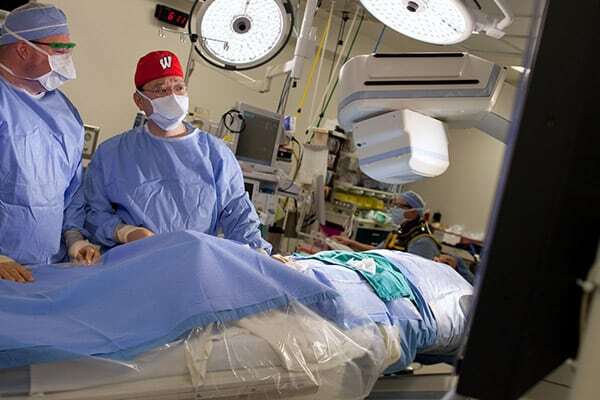 The Department of Surgery is committed to working with healthcare providers throughout the region to provide the highest quality of care to the people of Wisconsin and beyond. To assist in this effort, we developed GlovesOn. The program’s goal is to educate the region’s surgeons on techniques available at UW Health to expand and enhance their surgical practice. A GlovesOn participant will become part of the surgical team in a UW Health operating room for an all-day, interactive training session in advanced surgical procedures. Each participant will be paired with a UW Health surgeon with extensive expertise and training in his or her area of interest.